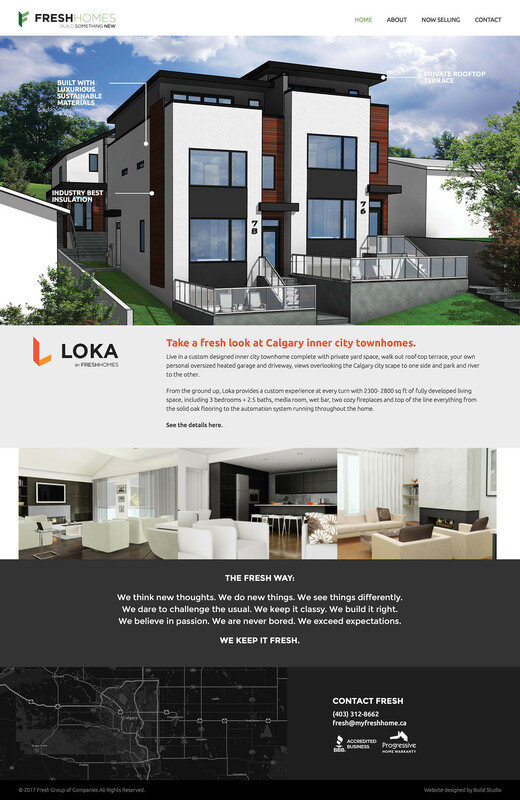 Fresh Homes is a Calgary home building and development company. They build beautiful, modern homes with an incredible attention to detail. They came to us looking for a redesign of their website that had the same level of detail. We worked with them to showcase the incredible photos of their projects and draw attention to the new projects they’re currently working on. We used the WordPress platform to allow them to update their website easy and, as with all the website we build, the site is responsive to the devices being used to view it.